The Waikerie Holiday park has been designed from the ground up to be the perfect base for a classic relaxing park holiday, or as base for you to venture out and explore all that the Riverland has to offer in the winter months! 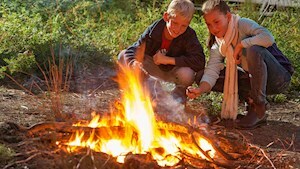 Keep warm this Winter and meet new friends around our campfire. Pet Friendly for Powered Sites only. Rug up, relax and enjoy delicious regional food in a rustic setting. Click to discover Winter at Flavours of the Riverland, the home of Backyard Bread.